Guests to your home are required to call you via the intercom located outside the private lift lobby. Upon verification, you may activate the access to the lift lobby by pressing the button provided at your apartment's intercom system, and advise your visitors to push the door open and enter. To exit from inside the lift lobby, simple press the exit button located at the side of the exiting door and the door will be unlocked automatically. The Subsidiary Proprietors are responsible for the repair and maintenance of the interior of their units at their own cost, including all fixtures and fittings at the Riser serving their units. Please ensure that your air-conditioners are regularly serviced by qualified servicemen and that it does not drip or cause any excessive noise which could be a source of nuisance. Regular servicing should include cleaning of the filters of the fan coil units for effective performance. Drain-pipes should also be free from obstruction to avoid blockage. Please ensure that your service contractors do not splash or hose water to your compressors which may cause water to drip to below units. Should servicing\replacement\repair works carry out at your compressor units, please apply minor work permit with the Management Office. A refundable deposit of S$100.00 shall be deposited with the Management at least three (03) working days before the commencement of any work of compressor units. Cheque is to be crossed and made payable to MCST 2286. Non-collected deposits will be banked in if not collected within a week. After which refund can be collected after 4 to 5 weeks. Subsidiary Proprietors or Tenants shall be fully responsible for their contractors for any damages/cleaning up the common property/the lower units, and compressors caused by their contractors during the servicing. Aircon contractor must ensure to give notice at least three (03) working days in advance in order for Management to notify occupier of the lower units. All damages/cleaning shall be made good to the satisfaction of the Management, within the same working day, failing which Management shall have the right to make good the damages or cleaning up and deduct the cost from the deposit without prejudice to the Management's right, to cover the remaining cost from the Subsidiary Proprietors or Tenants. Otherwise, the deposit is refundable, free of interest on the same day after completion of servicing works carried out and to the satisfaction of the Management. Please do not misuse the water closets and other water apparatus by allowing sweepings, rags and refuse, etc., to be thrown into the water closets. This could cause blockage and in the event of the drains being blocked, the cost of repairs will be the Subsidiary Proprietor's responsibility. In order to preserve a pleasant living environment, please give consideration to your neighbors by not extending noisy activities or engaging in offensive conduct such as the playing of musical instruments, television, karaoke, stereo equipment, mahjong, or other noisy pastimes, etc., into the late hours of the night (after 11.00pm), early morning (before 9.00am) or during the festive season. The building has been insured against fire, and it covers the structure of the building and all common areas. It does not, however, cover household contents, furniture, etc., for which you may wish to take up your own insurance policy. The trellis area on both sides of the balcony forms part of the common property. In order not to compromise the architectural design and to maintain the aesthetic outlook of the condominium, Subsidiary Proprietors of Type A units are not permitted to hand out or put things on the trellis area. To comply with the requirements of the relevant authority and for safety reasons, Subsidiary Proprietors are required to engage their own licensed plumber for the installation of water heater in their apartments. (a) each successful applicant shall be entitled to be issued one (1) Resident Card. (d) lessee(s) and sub-lessee(s) who are natural persons having exclusive possession of and occupying a Subsidiary Proprietor's lot under a written lease or sub-lease (duly executed and stamped under the Stamp Duties Act (Cap 312)) and members of the immediate family of the lessee(s) and/or sub-lessee(s) who are Occupiers of the leased or sub-leased lot. (e) Subsidiary Proprietors who are not residing in Dover Parkview and who have not leased out their premises are also eligible to apply for the Resident Card. (f) each card/replacement is subject to a charge of S$5.00 per card per Resident Card. A refundable deposit of S$50.00 is required for tenants. Payee has to return the original receipt and occupier card(s) personally to the management in order to claim back the deposit. (g) If a Subsidiary Proprietor leases out his/her unit, his/her family member must surrender all their cards to the Management before any issuance of new cards to their tenants. (h) Subsidiary Proprietor who have leased out their apartment/s WILL NOT BE ENTITLED to use the Condominium Facilities such as Carpark lots, booking of BBQ Pit, KTV and other facilities as their rights have been transferred to the lessee. (i) Ownership or Tenant must apply Resident Card at Management Office within the 7 days from the 1st day he/she moved in. (d) the applicant fails or refuses to comply with the applicable House Rules. Two (02) recent passport size color photographs. A copy of any legal document to prove tenancy of the relevant premises. Tenancy period must or more than 6 months. A Stamp Duty from Inland Revenue Authority of Singapore. For company-owned properties or company-tenant premises, a letter of authorization is required. The letter must bear the registered company's name and state the names of its employees who will be living in the premises and also the duration of stay must also be indicated. A copy of Identification Documents with address such as Passport or NRIC or Permanent Resident, Student Pass or Work Permit and Employment Pass. To replace a lost Resident Card, a letter declaring the loss of the card is required. A non-refundable fee of S$5.00 per card is applicable for Resident Card and Temporary Card. A refundable deposit of S$50.00 is applicable for Tenants and Guest. The deposit WILL NOT BE refunded for loss of card, loss of original receipt, if tenancy period is less than 6 months or if the tenancy has been terminated within 6 months. (b) relatives and friends of holders of a valid Resident Card. (c) each successful applicant shall be entitled to be issued one (1) Temporary Card. (d) will be issued to occupier's guests (a person(s) who stay(s) for more than 7 days but less than 6 months). Such cards are for entering into condominium and for identification purpose. (e) Temporary Cardholder will not be entitled to the use and booking of Facilities. Proxy booking or telephone reservation will not be entertained. (c) the applicant fails or refuses to comply with the applicable House Rules. Each card/replacement is subject to a charge of S$5.00 per card per Resident and Temporary Card. A refundable deposit of S$50.00 is required for tenants. Payee has to return the original receipt and occupier card(s) personally to the management in order to claim back the deposit. The Housing Unit shall only be used for residential purpose and not for business or any other purpose. A Occupier shall be responsible for the conduct of his family members and invitees at all times, ensuring that their behavior is neither offensive to other occupants of the condominium nor cause damage to any portion of the private/common property. Ball games, skate boarding and any activity that would deface or cause damage to the walls or common areas of the condominium are prohibited. Subsidiary Proprietors/occupiers must not, without the written consent from the Management, carry out any alterations or install any fittings or fixtures that deviate from the approved plans and specifications. Subsidiary Proprietors / occupiers will be responsible for and shall pay all fines or penalties imposed by any government department for any unauthorized additions and / or alterations found within their apartments. A Subsidiary Proprietor who is not residing in Singapore should at his own expenses have an authorized agent or representative registered with the Management to conduct periodic inspection of his apartment and assume responsibility for the contents therein. Such Subsidiary Proprietors shall file the names, addresses and contact numbers of their agents with the Management prior to allowing them access to the condominium. The Subsidiary Proprietor or his appointed agent shall be responsible for the conduct of his lessee(s) or invitee(s) and shall upon notice given by the Management, immediately remove, at his own expenses, any unauthorized structure / equipment / property / placed in the common areas. Once a Housing Unit is leased out, the entitlement to the use of the common areas, carpark lots and all other facilities is automatically transferred to the lessee, and the Subsidiary Proprietor is no longer entitled to use the facilities. Occupiers of the condominium are not allowed to use any employee of the Management for any business or private errands. Soliciting of goods and services, and the holding of religious or political activities shall not be permitted in the premises. Private parties, subjected to bookings, are limited to the Clubhouse or designated areas only. The sidewalks, passages, lobbies, stairways and corridors must not be obstructed at any time, or used for any purposes other than their designated usage. Personal property of any kind may not be placed on or stored in common areas such as fire escape stairwell, any of the riser rooms and any obstruction area. The Management shall have the right to remove any of the items without further notice. The management allows every unit to only place a shoe rack/shoe cabinet just outside the unit's main door. This shoe rack/shoe cabinet placed must be neatly placed and well maintained and shall not obstruct the passage way. Notwithstanding this, the units at the first storey whose entrance doors are along the main corridor (between the 2 glass lobby doors) shall not be allowed to place any shoe rack/shoe cabinet or any furniture along the main corridor, comprising both the private and common areas, between the 2 glass lobby doors at the first storey. The main corridor is used by all residents and must maintain an uniform appearance as per its design intent. All potted plants shall be placed in containers so as to prevent the dripping of water or soil onto other apartments or common areas. Care should be taken when cleaning areas adjoining the external walls to prevent water from running down the exterior of the building or into other apartments. Occupiers and their visitors shall not damage the grass, footpaths, or any part of the subdivided building or property by the use of vehicles, machines, tools or objects of any description. The occupier who is or whose servant, agent, licensee or invitee is responsible for such damage shall make good any such damage to the satisfaction of the Management. Any damage caused to the common property shall be assessed by the Management and all cost of repair and/or replacement of broken or damaged parts shall be borne by the person(s) responsible. It is intended that the exterior facade of the building shall represent a uniform appearance. As such, occupiers shall not allow any projections to extend through any door, window openings or curved windows in the living room. No awnings shall be installed in any part of an apartment, except the ground floor apartment. All furniture and equipment placed or installed in the common area have been provided for the safety, comfort and convenience of all occupiers, and therefore shall not be damaged or removed without the permission of the Management. Any damage or loss shall be made good by the occupier concerned. He shall also be responsible for the acts of his servant, licensee or invitee who caused such damage or loss. Gambling activities are strictly prohibited at all common areas. Subsidiary Proprietor, who shall fully indemnify the Management against all such costs and expenses, and against all loss or damage in respect of such demolition or removal including legal costs incurred by the Management. Subsidiary Proprietors shall not carry out any work which may affect the external facade of the building without the prior written approval of the Management. Facade shall include windows, balcony, compartments for air-con condensing units, common areas, open areas and all other visible part of the building which constitute or form part of the external appearance of the building. Subsidiary Proprietors shall not install any television or radio antenna on the rooftop or at any external part of the subdivided building. Before carrying out any renovation, alterations or additions to a Housing Unit, an Subsidiary Proprietor/Contractor is required to apply for approval from the Management and to place a refundable deposit of S$500.00 deposit per application (cheque made payable to MCST 2286). All deposit cheques will be banked-in by Management for any renovation works to be carried out. At least 3 working days are required for processing the application. Such deposit will be refundable free of interest, (4 to 5 weeks after the joint inspection and upon submitting of refundable documents such as original receipt and application form) to the Subsidiary Proprietor/Contractor when the Management is satisfied that the Subsidiary Proprietor or his renovation contractors have not carried out any unauthorized work, damaged any common area, left debris or caused any inconvenience at the building for which the Management would have to incur cost to rectify. Such rectification cost shall be deducted from the deposit. Should be expenses of such rectification exceed the deposited amount; the Subsidiary Proprietor concerned shall be liable to pay up the difference. Subsidiary Proprietors shall also be required to arrange with the Management for a joint inspection of the Housing Unit at the commencement and on completion of the renovation. Demolish or hacking of walls must be accompanied with Professional Engineering (PE) endorsement as well as electrical re- wiring must be endorsed by Licensed Electrician and all approved plans/letters or permit by Building Authority relating to the above works have to be endorsed and to be submitted the original approved copy to the Management. The endorsement of the Management does not constitute an approval of the Building Authorities. The Subsidiary Proprietor must bear full responsibility to ensure compliance with the building by-laws and other regulations as may be introduced and applicable from time to time. All sewer outlets are to be covered to prevent debris failing into the pipes and causing chock age in the unit or common sewer pipe. No installation of window panels/Perspex at the balcony. Window grilles at the yard are to be installed inside the apartment. (b) Renovation contractors are not allowed to take more than three (3) consecutive days to demolish walls and/or removal of wall/floor finishes. At any one time, only two of the approved hand-held power tools are allowed to be used. c) Noisy Work such as cutting of tiles, demolition of walls and removing floor/wall finishes are restricted from 9.30am to 4.30pm during the weekdays. Such works are not allowed on Saturday, Sundays and Public Holiday. d) The approved work must be completed within one (01) month from the date of the permit. Subsidiary Proprietor or the contractors must inform the Management of their work schedule. The deposit will be forfeited without further notice if Subsidiary Proprietors/Contractors do not comply with the regulation for renovation. All renovation contractor must report at the security guard at main entrance before they proceed to carry out work to obtain identification cards and must wear their cards at all times whilst in the condominium, failing which the Management reserves the right to refuse entry to any unknown person which cannot be verified there and then. Security personnel have the right to question any person in the Condominium found without an identification card. All renovation workmen should only use designated lifts and staircases so as not to cause inconvenience to occupiers. Packing and crating materials must be removed and disposed of by the occupiers/Contractors on the same day as they are being brought in. All Subsidiary Proprietors/contractors are not allowed to tap of water/electricity supply from common areas. No storage space will be provided on site. All articles/materials must be stored within the Subsidiary Proprietor's premises. The Management reserves the right to remove items left in the common area without further notice. Unwanted materials, debris, etc., should not be left in the corridors, lift lobbies, fire escape staircases or any other common areas of the condominium. Otherwise they will be removed and the cost charged to the Subsidiary Proprietor concerned. All renovation works should be confined to the boundaries of a Housing Unit. Hacking of structural slabs, columns and beams are strictly prohibited. Subsidiary Proprietors must ensure that adequate measures are taken to protect the common property during the delivery or removal of materials by their contractors. A doormat must be provided by the contractor at the door entrance of the Housing Unit to prevent worker in that unit from dirtying the common area. The common property affected during the delivery or removal of materials must be left in a clean and tidy condition on completion of work each day. Subsidiary Proprietors shall be responsible for the conduct and behaviour of their appointed contractors. Any damages to the building and its equipment caused by the moving of materials/furniture or other effects shall be replaced or repaired at the expense of the Subsidiary Proprietor concerned. Skip tanks are not allowed to park overnight. It must be removed by 5pm daily. A fee of S$500.00 will be imposed on whoever is in charge. Applications for approval of renovation works and payment of the deposit should be made at the Management Office during office hours. Applications must be submitted in the prescribed form obtainable from the Management Office. All applications must be accompanied by copies of all relevant plans, designs and approvals obtained from the relevant authorities in respect of the intended renovations. Minor work includes painting, aircon replacement/servicing, carpentry work awing installation. A refundable deposit of S$100.00 shall be deposited with the Management at least three (03) working days before the commencement of any work. Cheque is to be crossed and made payment to MCST2286. All deposits must be collected at the Management Office within three (03) weeks after the completion of work. Non-collected deposits will be banked in if not collected within a week. After which refund can be collected after 4 to 5 weeks. Resident/Owner shall be fully responsible for their contractors for any damages/cleaning up at the common property/the lower units, and compressors caused by their contractors during the servicing. Aircon contractor must ensure to give notice at least 3 working days in advance in order for the Management to notify resident of the lower units. All damages/cleaning shall be made good to the satisfaction of the Management, within the same working day, falling which the Management shall have the right to make good the damages or cleaning up and deduct the cost from the deposit without prejudice to the Management's right, to cover the remaining cost from the Resident/Owner. Otherwise, the deposit is refundable, free of interest, 3 days after completion of servicing works carried out and to the satisfaction of the Management. Subsidiary Proprietors and their contractors must inform the Management of their work schedule. Window grilles are to be installed inside the apartment and the color must be black. Occupiers and their contractors are reminded to inform the Management office through application of their schedules, particularly when they fall on Sundays and Public Holidays. All applications must reach the office 2 working days before/moving/delivery. A refundable deposit of S$100.00 is required. If any area of the common property is damaged by you or the contractor in the process of the moving/delivery, the deposit will be forfeited and if the cost of repairs/replacement is more than the deposit, Subsidiary Proprietor will be liable to pay the differences. All cash/cheque will be banked-in if not collected within a week. After which refund can be collected after 4 to 5 week. All deliveries and removals must be reported at the security check-point prior to the work being carried out. Otherwise, the Management reserves the right to refuse entry of any unknown personnel for purposes which cannot be verified. All Contractors and their workmen must report to the security check- point to obtain identification card, and must wear their card at all time. Workmen carrying out deliveries/removals should use only designated (Fire) lifts with the protection cover sheet and staircases so as not to inconvenience occupiers. The Management reserves the right to stop the work immediately if the workmen at any one time use the lift that is not assigned to them nor has no protection cover sheet or failed to comply with the regulations. Occupiers must ensure that adequate measures are taken to protect the common property during any bulk deliveries or house removal work. Occupiers are not allowed to tap water/electricity supply from the common areas. Unwanted materials, debris, etc should not be left in the corridors, lift lobbies, fire escape staircases or any other common area in the building. Otherwise, they will be removed and the cost of S$500.00 will be charged to the Resident concerned. All loading and unloading of goods must be carried out at the REAR LOBBY of the tower blocks. And NO parking or loading at the Fire Excess Lots. Occupiers shall be responsible for the conduct and behaviour of their appointed contractors. Any damages to the buildings and equipment caused by them moving of furniture or other effects shall be replaced or repaired at the expense of the occupiers concerned. Packing and crating materials must be disposed off and removed from the estate by the occupiers on the same day that they are brought in. Occupiers must ensure that adequate measures are taken to protect the common property during any bulk deliveries or house removal works. Occupiers must apply for carpark label from the Management. A carpark label shall only be issued to Subsidiary Proprietor/tenant who is residing at Dover Parkview. Each Housing Unit is entitled to only one (1) carpark lot to park one (1) vehicle. Subsequent issues shall be subject to a charge of $5.00 (non-refundable) per car label and $50.00 refundable deposit per carpark label. The car park label issued is not transferable for use on another vehicle. A car park label should be displayed prominently on the front left windscreen of the vehicle for easy identification by security personnel. The carpark label is chargeable at S$5.00 (non-refundable) for 1st car (blue color label) and subsequent vehicle and changes of vehicle yellow color label). A refundable deposit of S$50.00 applicable for Subsidiary Proprietors or Tenants applying for 2nd vehicle and/or subsequent carpark label (subject to availability). The refundable deposit will be forfeited if the car label and the original receipt are not presented when request for a refund. An additional of S$10.00 per issue or renewal (no pro-ration and non-refundable) is chargeable for 2nd car label and/or subsequent car label is valid for up to 6 months, i.e. renewal every June and December (yellow color label). Parking areas are not to be used for recreation, storage or repair works by occupiers or their invitees. Washing of vehicles should be carried out only at open surface parking lots and/or designated wash bay. All vehicles parked in the Condominium will be at the Subsidiary Proprietor's/Visitor's risk. The Management shall not be held liable for any theft, damage or other misdemeanor caused to the vehicles and/or their contents. a) 1st carpark label (blue label): allowed to park at Basement Carpark, Multi-Storey Carpark and Open surface carpark lots. b) 2nd carpark label (yellow label): Only allowed to park at Multi-Storey Carpark and Open Surface Carpark Lots. They are NOT allowed to park at Basement Carpark. Only occupiers and authorized car washers are ONLY allowed to DRY wash occupier vehicles (at basement carpark) in the estate. Wet washing of vehicles should be carried out only at open surface parking lots and designated washing bays. Using of water hoses is not allowed. Vehicles found parking in non-designated location will be wheel-clamped if the visitor fails to remove the vehicle in 15 minutes upon issue date and hour. Management reserves the right to wheel-clamp without further notice. The removal of the wheel-clamp will be effected upon payment of an administrative fee of S$150.00 (excluding of GST). This fee is for one (1) day or part thereof of parking. An additional fee of S$50.00 (excluding of GST) will be charged for every additional day of parking. Occupiers are responsible for ensuring their visitors to know and abide by the rules stated above and any other rules made thereon. Vehicles exceeding 15 feet shall not be allowed in the condominium. NO parking at the Fire Access Lots. The road/driveway and carparks of the condominium shall not be used for the purpose of learning to drive. All vehicles must be parked within the confined of parking lots provided. Vehicles found parked outside the confined of the allocated parking lots will be wheel-clamped of S$150.00 (excluding GST). Vehicle shall not drive in a manner so as to endanger the lives of other person lawfully using the common property. All traffic signs and rules in the Condominium are to be observed. Occupiers must register their motorcycles and adult bicycles with the Management. Basement lots for parking the motor-cycle are only for Subsidiary Proprietor/tenant residing at Dover Parkview. Documentary proof of motorcycles ownership and NRIC (for Singaporean and Permanent Resident) reflecting address at Dover Parkview should be presented to the Management upon registration. The Management reserves the right to refuse entry of any unregistered motorcycles. Any unregistered motorcycles parked in the basement carpark lots designated for occupiers will be subjected to wheel-clamp. Only adult bicycles registered at Management are allowed to be parked in the bicycle lots Multi Storey Carpark Deck 2. Unregistered or improper parking of bicycles will be removed or wheel-clamp of S$150.00 (excluding GST) without any further notice. Children bicycles, including tricycle, are not allowed to park at the bicycle lots. Chaining/locking of bicycles at any of the railings, bins, staircases and common areas will be removed or wheel-clamp of S$150 (excluding GST) without any further notice. Resident/Tenant whose bicycle defaced, or damaged any common property will be charged an administrative fee of S$500.00. This applies to the last found bicycle owner whose bicycle is chained to the common property. Bicycles not in working conditions (broken wheels, no tyres, no seat, rusted and covered with very thick layer of dust, etc.) are not be allowed to park at the bicycle lots or dumped anywhere in the common areas. The bicycle shall be removed or wheel- clamp of S$150.00 (excluding GST) without further notice. The motorcycles and bicycles parked in the condominium will be at the owner's risk. The Management shall not be held liable for any theft, damaged or other misdemeanor caused to the motorcycles/bicycles and/or their contents. NO parking at the Fire Excess Area. Vehicle found parked outside the confined of the allocated parking lots will be wheel- clamped of S$150.00 (excluding GST). Ball games are not allowed to be played within the compounds of the condominium except at areas designated for such games. The recreational facilities are for the exclusive use of occupiers and their invitees. Non-Resident Subsidiary Proprietors are deemed to have assigned their rights to their tenants to use the recreational facilities. Only occupier with valid Resident Cards may use/book the recreational facilities. Guests of occupier must park their vehicles outside the condominium if there are insufficient visitors' lots, or as directed by the Security Guards. Guests of occupier must sign in the Security Counter located at the Clubhouse and shall be accompanied by the occupier when using the facility. Occupiers are required to produce their Resident Cards at the Management/Security Counter while making bookings/reservations as well as before claiming the keys to the recreational facilities. Failure to do so may result in the refusal of use of the facilities. Children under 12 years of age should not be allowed to use any of the recreational facilities unless accompanied by their parents or supervisory adult, who shall be responsible for their safety and proper behavior. Occupiers shall be responsible for the behavior of their invitees and their compliance of the house rules. Occupiers shall be responsible for any damages caused by themselves or their invitees to the recreational facilities. Occupiers must inform the Security or Management of any existing damage to the facility or equipment that they or their invitees are about to use, failing which they may be held responsible for such damage. occupiers/invitees must be properly attired when using the facilities. Appropriate shoes (non-marking) must be worn when playing tennis to avoid damage to the court's surface. The Management will not be held responsible for any loss or damage to any personal property, injury or death arising from the use of the recreational facilities. The Management, Security personnel or any appointed representatives of the Managing Agent may require any person in the recreational areas to identify himself. Except for those games and activities for which the facilities were especially intended for, no other games or activities such as football, roller-skating, skate boarding and horse-play of any sort will be allowed in or about the recreational facilities. The Management reserves the right to change any rules and regulations. Residents shall be notified at least one (1) week in advance before such changes take effect. Resident and their invitees must abide by all the rules and regulations when they utilize the recreational facilities. Each facility has its own set of rules and regulations. (a) Strictly only occupiers above the age of 16 with a valid occupier card are permitted to book the barbecue pit. (b) E-booking through the web portal. Booking of the recreational facilities may be made one (1) month in advance. Allocations will be made on a first-come, first-served basis. A non-refundable charge of S$20.00 (owners) or S$30.00 (tenants) per session shall be payable for a confirmed booking. (c) To discourage frivolous bookings, occupiers who fail to turn up and use the recreational facilities for two (02) bookings and without making proper cancellation, will be barred from booking the recreational facilities for the next two (02) months. (d) The Resident is required to undertake to comply with the Rules and Regulations as stated in the application form before any approval is granted. (e) Cancellation of bookings shall be made at least one (1) week before the date booked. The booking charge of S$20.00 (owners) or S$30.00 (tenants) will not be refunded upon cancellation. (f) All e-bookings are not transferable. (g) Each Housing Unit is entitled to book one (01) pit per session per month. Only a maximum of 30 invitees. A Guest list must be given to the Management to facilitate security control and Guests' easy access into the Condominium. Setting up of tents or camping is not permitted. Highly flammable equipment and portable BBQ burners are not permitted at the BBQ Pit common area. Live band and disco are not permitted. Portable radios and cassette players are permitted at the barbecue area provided there are no complaints from other users and Residents. The Management reserves the right to request the removal of any of these equipment should it deem fit. The Resident shall ensure that there should not be excessive noise or nuisance caused to other Residents. Parties shall be ended and vacate the BBQ areas by 5pm for 1st session and 11.00pm for 2nd session. Residents and their Guests must ensure that the barbecue pit and its surroundings are left in a clean and tidy condition after use. Inspection of the barbecue areas shall be carried out by the Management or Security Guard to determine whether there has been compliance with the Rules and Regulations. All costs incurred in cleaning the area & rectifying any damage shall be borne by the occupier concerned. All unwanted leftover food, litter, etc. must be disposed off into the provided bin. Washing of BBQ utensils, cutlery or crockery is not allowed at the BBQ common area or on the pool deck. If the bin is full, occupiers shall provide their own refuse container into which all litter, waste food, etc. are disposed off. Permission must be obtained from the Management prior to hiring of additional tables and chairs to be used at the barbecue area or pool deck areas. Maids are strictly not allowed to book the facilities for their own use. The facility is not permitted to be used for commercial, religious, company gatherings or other illegal activities. The Security Guard has every authority to get your invitees to leave the condominium if they violate any of our House Rules. The Management will not be held responsible for any injuries, damages or lost of life limb or property sustained by Residents and their Guests, however caused when using the facilities. Tenants who apply and use the BBQ pits will have to pay a refundable deposit of S$600.00 per session before the usage. Shall the Tenants fail to comply with the Rules and Regulations of No. 3-17, the Management shall have the right to FORFEIT THE S$600.00 DEPOSIT. Strictly no diving is permitted. Only occupiers and their invitees are permitted to use the pools. Guests must be accompanied by the occupiers at all times. Children under the age of 12 must be accompanied and supervised by their parents or an adult when using the pool. Persons suffering from any infectious disease or with bandages or open wounds or any type are not permitted to use the pool. Glassware and other breakable or sharp objects are forbidden in the pools or its surrounding areas. Portable radios and audio players are permitted within two (02) meters from the edge of the pool areas and provided there are no complaints from other users and Residents, and the Management reserves the right to request the removal of any of these equipment should it deems fit. The following activities are not allowed on the pool deck. Footwear, food and drinks are not permitted within a perimeter of two (2) meters from the edge of the pool. All swimmers must put on proper swimming attire when swimming. All swimmers must take a shower before they enter the pool. During thunderstorms, all swimmers are advised to leave the pool. The Filtration Plant and Pump Rooms of the swimming pools are strictly out of bound to all persons. Only swimming coaches accredited/sanctioned by the Management are permitted to use the pools for coaching lessons. The trainees shall be only residents.The Management reserves the right to dictate the rules and regulations for the administering of the coaches. The life buoys are strictly for emergency use only and MUST NOT be removed from the racks except for saving lives. Residents shall sign in for the use of all game equipment's. All equipment's must be returned to the Reception Counter after use. The Management will not be held responsible for any injuries, damages or loss of life, limb or property sustained by occupiers and their invitees, howsoever caused when using the pool and its facilities. (a) only occupiers with valid occupier cards are permitted to use and book the Tennis Courts. (b) e-booking will be accepted on a first-come, first-served basis. (c) all bookings are not transferable. (d) for advanced bookings, each Housing Unit is entitled to a maximum of a one (01) one-hour session per week during peak hours and two (02) one-hour sessions per week during off-peak hours. (e) after a Resident's entitlement has been used up for the week, current bookings of one (01) one-hour sessions are permitted subject to availability within one (01) hour before playing time on a manual booking basis at the Club House reception after office hours. (g) e-bookings may be made for two (02) courts but only at different times of the day. (h) Residents who are unable to turn up their session of play must inform the Reception Counter one (01) hour before the play time. (i) In case of no turn-up, the booked hours will automatically be forfeited after a ten (10) minutes grace. The court may then be allocated to another occupier on first served basis on a manual booking after office hours. (j) Residents who fail to turn up after two (02) bookings and without making proper cancellation, will be barred from making any booking for a period of two (02) weeks commencing from the last booking. Smoking, drinking (except plain water), eating, gambling and other activities not related to tennis, are not permitted in the court. All players must be properly attired for the game. Shoes and balls used must be of non-marking type. Residents will not be permitted into area, court without signed in at Reception Counter. Residents must produce their Resident Cards for identification before the Management's personnel or the Security Guard switch on the lights for the courts. At least one (01) Resident from the Housing Unit who booked the Tennis Court must be present at all times when their invitees are playing until the game is over. Each occupier is permitted to bring in NOT MORE THAN FOUR (04) GUESTS at any one time. Residents will be responsible for any damages caused by themselves or their Guests. Any damages caused by the previous players must be reported to the Management or the Security Guard immediately, before the commencement of the game. Player must vacate the Tennis Courts when their session ends. Only coaches accredited/sanctioned by the Management are permitted to conduct coaching lessons on the courts. The trainees shall be only residents. The Management will not be held responsibility for any injuries, damages, loss of life, limb or property sustained by occupiers and their invitees, howsoever caused when using the recreational facilities. Only Residents with valid Resident Cards are permitted to use the gymnasium. Each Resident is permitted to bring in NOT MORE THAN TWO (02) GUESTS at any one time. Residents and their Guests should read the instructions provided before using the equipment. Due care must be exercised when using the equipment to avoid accidents and damages. Residents and their Guests are to sign in at the Reception Counter before entering and sign out after the gymnasium. Proper exercise attire must be worn at all times. Swimming suits, bathing suits and scandals are strictly prohibited. Towels must be placed on the work benches when working out. Eating, drinking (other than plain water) and smoking are strictly prohibited. Pets are also not allowed in the premises. Children under 12 years of age are not permitted in the gymnasium. Children from 12 to 16 years of age must be accompanied and closely supervised by adults. Residents concerned will be held responsible for any loss or damages caused by their invitees or themselves. Residents are requested to place the weights/equipment back in its proper place after use. Residents and their invitees should read the instructions provided before using the equipment. Due care must be exercised when using the equipment to avoid accidents and damages. Limit the usage of equipment to 25 minutes and wipe your perspiration with your towel after using the equipment. Equipment shall not be shifted or removed from their positions or from the gymnasium by the Residents or their Guests. Residents and their invitees are advised not to talk loudly as not to cause a nuisance to others gymnasium users. The Management will not be held responsible for any injuries, damages or loss of life, limb or property sustained by Residents and their Guests, howsoever caused when using the facilities. a) Only Residents with valid Resident Cards are permitted to book these facilities. c) Each booking shall be on an hourly basis. d) Each Housing Unit is entitled to book the green for one (1) hour per week. Additional bookings will be subject to availability. e) Bookings are not transferable. f) Advanced bookings are permitted for up to three (3) days, inclusive of the day off booking. g) Resident who fails to turn up within 15 minutes after the scheduled time of play, barring rainy weather, shall have his reservation allocated to the next party on a first come, first-served basis. h) Cancellation of bookings must be made at least one (1) hour before playing time. i) To discourage frivolous bookings, occupiers who fail to turn up after two (2) bookings and without making proper cancellation, will be barred from booking the putting green for the next two (2) weeks. The chip & putt green can only be used for putting of golf balls while croquet green is used for playing croquet. Any other game is strictly prohibited on the green. Flag posts may not be removed from the chip & putt green. Balls shall not be shot beyond the chip & putt green. Residents shall ensure that no one, especially children, is around them when they are swinging their clubs. Food and pets are not allowed in these facilities. All litter must be disposed of in the receptacle provided. Children under 12 years of ages are not permitted in the chip & putt green/croquet green unless accompanied by parents or supervising adults who shall be responsible for their safety and proper behavior. Residents will be held responsible for any damages caused by their Guests or themselves. Any damages caused by the previous players must be reported to the Management or Reception Counter immediately before the commencement of use. Players must vacate the area when the session of play ends. Only coaches credited/sanctioned by the Management are permitted to conduct lessons in this facility. The Management will not be held responsible for any injuries, damages or loss of life, limb or property sustained by Residents and their Guests, howsoever caused when using the recreational facilities. Elderly Residents shall consult a medical practitioner before using the saunas. Children below 16 year of ages are not allowed to use the saunas. Taking of alcohol, tranquilizers, stimulants or other kinds of prescribed drug is definitely not encouraged prior to using the recreational facilities. People with hypertension or heart ailments should not use these facilities. Drying of clothes is prohibited. Residents and their Guests are to sign in and out at the Reception Counter before and after using the saunas or furobath. a) Strictly only Residents with valid Resident Cards are permitted to book the furobath. b) Booking must be made in person and will be accepted on a first-come, first-served basis. c) Each booking shall be made on an hourly basis. d) Each Housing Unit is entitled to book the saunas and furobath for one (1) hour per session per week. Additional bookings will be subject to availability on a manual basis at the Management or Reception Counter after office hours. f) Advanced bookings are permitted for up to three (3) days, inclusive of the day of booking. g) Residents who fail to turn up within 10 minutes after the scheduled time of use shall have his reservation allocated to the next party on a first-come first served basis. h) Cancellation of booking must be made at least one (1) hour before the session of use. i) To discourage frivolous bookings, occupiers who fail to turn up after two (2) bookings and without having proper cancellation, will be barred from booking the furobath for the next two (2) weeks. Soap baths/bubble bath essence etc. is NOT ALLOWED in the bath. The Managements will not be held responsible for any injuries, damages or loss of life, limb or property sustained by Residents and their Guests, howsoever caused when using the recreational facilities. Only Residents with valid Resident Cards are permitted to use the Table Tennis. Each Resident is permitted to bring in not more than four (04) Guests at any one time. Residents and their Guests are to sign-in at the Reception Counter before playing the games. Each Housing Unit is entitled to book the table tennis for one (01) hour per day per session. Additional bookings will be subject to availability on a manual basis at the Reception Counter. Booking of the Table Tennis for exclusive use in not permitted. Residents shall sign-in and sign-out for the use of all games equipment. All equipment must be returned to the Reception Counter after use. Residents concerned will be responsible for any loss or damages caused to the equipment and furniture, by their Guests or themselves. Smoking, drinking, eating and gambling are not permitted in the area. Pets are also not allowed in the premises. Residents and their Guests are advised not to talk loudly as not to cause a nuisance to others. Residents who do not sign-in at Reception Counter and are found using the table tennis will be requested to leave. Players must vacate the area when their sessions of play end. (a) Only Residents above the age of 16 with a valid occupier card are permitted to book. (b) Application for e-booking of the facility will be on a first-come, first-served basis. A non-refundable charge of S$20.00 (owners) or S$30.00 (tenants) per session shall be payable for a confirmed booking. (c) Cancellation of bookings shall be made at least three (03) days before the date booked. No refund of booking charges will be made of for cancellation. (d) To discourage frivolous bookings, occupiers who fail to turn up and use the recreational facilities for two (2) bookings without making proper cancellation, will be barred from booking the recreational facilities for the next two (2) months. (e) Bookings are not transferable. (f) Each Housing Unit is entitled to book one (01) session per month. (g) Inspection of the facility shall be carried out by the Management or Security Guard to determine whether there has been compliance with the Rules and Regulations. All costs incurred in cleaning the area and rectifying any damages shall be borne by the Resident concerned. The Residents who made the reservation will be held responsible for the cleanliness of the facility and its surroundings. All waste or other refuse must be disposed into watertight plastic bags and deposited into litter bin provided. The number of invitees are limited to twenty (20) persons. Cooking of food, barbecue in the premises is strictly prohibited. Guest list must be submitted to the Management or the Reception Counter one (01) day before the use of the Karaoke Room. The Management will not be held responsible for any injuries, damages or loss of lift, limb or property sustained by Residents and their Guests, howsoever caused when using the recreational facilities. Residents are responsible for the behaviours of their invitees and compliance of the House Rules. All Guests are to park their vehicle at the Multi-Storey Carpark Deck 1 and 3, White Lots only. No live band music or mobile disco is allowed. The Residents shall ensure that there should not be excessive noise or nuisance caused to other occupiers. The Karaoke room must be vacated by 11.00pm. Residents concerned will be held responsible for any loss or damages caused by their invitees or themselves. The Management or the Security Guard reserves the right to stop the party if occupiers do not comply with the Regulations. A repair cost will be charged to the last user accordingly. The User shall also be required to arrange with the Management or Security Guard for a joint inspection of the equipment before and after the party. Tenants who apply and use the KTV will have to pay a refundable deposit of S$600.00 per session before the usage. Shall the Tenants fail to comply with the Rules and Regulations of No. 5-14, the Management shall have the right to FORFEIT THE S$600.00 DEPOSIT. Only Residents with valid Resident Cards and above age 16 are permitted to use the Aerobic Room. Residents and their Guests are to sign-in and sign-out at the Reception Counter before and after using the Aerobics Room. Proper attire must be worn at all times. Swimming suits, bathing suits, sandals, high-heeled shoes and marking sole shoes are strictly prohibited. Residents and their Guests are only allowed to wear soft and flat based shoe. Residents concerned will be held responsible for any loss or damages caused to the equipment, furniture, fittings and fixtures by themselves, or their invitees. The Management will not be held responsible for any injuries, damages, loss of life, limb or property sustained by occupiers and their invitees, howsoever caused when using the recreational facilities. The children's playground is for the exclusive use of occupiers' children and their invitees under 12 years of age. Children must be accompanied by the parents or supervising adults who shall be responsible for their safety and proper behavior. Parents or supervising adults shall ensure that any child, of whom he has control of when playing, not create any noise likely to interfere with the peaceful enjoyment of other occupiers. No dogs, cats or other household pets shall be allowed in the children's playground. Residents shall be held responsible for any damages caused by themselves or their invitees to the fittings/fixture of the playground facilities. Cycling, roller-skating or any other equipment that may damage the rubber tiles is prohibited. The Management will not be held responsible for any injuries, damages or loss of life, limb or property sustained by occupiers and their invitee, however caused when using the facilities. A subsidiary proprietor or an occupier of a lot shall not create any noise on a lot or the common property likely to interfere with the peaceful enjoyment of the subsidiary proprietor or occupier of another lot or of any person lawfully using the common property. > permit any invitees of the subsidiary proprietor or occupier to park or leave, any motor vehicle or other vehicle on the common property except with the prior written approval of the management corporation. (2) The management corporation shall not unreasonably withhold its approval to the parking or leaving of a motor vehicle or vehicle on the common property. (1) A subsidiary proprietor or an occupier of a lot shall not obstruct the lawful use of the common property by any person, except on a temporary and non-recurring basis. (2) If the management corporation has specified, by resolution, the manner in which furniture or large objects are to be transported through or on common property, a subsidiary proprietor shall not transport any furniture or large object through or on common property except in accordance with that resolution. (2) use for his own purposes as a garden any portion of the common property. (a) A subsidiary proprietor or an occupier of a lot shall not mark, paint, drive nails or screws or the like into, or otherwise damage or deface, any structure that forms part of the common property except with the prior written approval of the management corporation. (b) An approval given by the management corporation under paragraph (1) shall not authorise any additions to the common property. any device used to affix decorative items to the internal surfaces of walls in the subsidiary proprietor's or occupiers lot. (d) Any such locking or safety device, screen, other device or structure must be installed in a competent and proper manner and must have an appearance, after it has been installed, in keeping with such guidelines as the management corporation may prescribe regarding such installations, and with the appearance of the rest of the building. repair any damage caused to any part of the common property by the installation or removal of any locking or safety device, screen, other device or structure referred to in paragraph (3) notwithstanding that it forms part of the common property and services the lot. A subsidiary proprietor or an occupier of a lot, when on a lot or the common property, shall be adequately clothed and shall not use language or behave in a manner likely to cause offence or embarrassment to the subsidiary proprietor or occupier of another lot or to any person lawfully using the common property. create any noise likely to interfere with the peaceful enjoyment of another lot. A subsidiary proprietor or an occupier of a lot shall take all reasonable steps to ensure that his invitees (including customers and staff) do not behave in a manner likely to interfere with the peaceful enjoyment of the subsidiary proprietor or occupier of another lot or of any person lawfully using the common property. A subsidiary proprietor or an occupier of a lot shall not deposit or throw on the common property any rubbish, dirt, dust or other material or discarded item except with the prior written approval of the management corporation. A subsidiary proprietor or an occupier of a lot shall not, except with the prior written approval of the management corporation, hang any washing, towel, bedding, clothing or other article on any part of the parcel in such a way as to be visible from outside the subdivided building, other than at areas designated for the purpose and there only for a reasonable period. that glass or part of the glass cannot be accessed by the subsidiary proprietor or occupier of the lot safely or at all. (1) A subsidiary proprietor or an occupier of a lot shall not, except with the prior written approval of the management corporation, use or store upon his lot or upon the common property any flammable chemical, liquid, gas or other flammable material. (2) This by-law shall not apply to chemicals, liquids, gases or other material used or intended to be used for domestic purposes, or any chemical, liquid, gas or other material in a fuel tank of a motor vehicle or internal combustion engine. not dispose of any large object into the chutes which may obstruct the free fall of refuse in the chutes. or the purpose of having the refuse collected, shall place the receptacle within an area designated for that purpose by the management corporation and at a time not more than one hour before the time at which refuse, recyclable material or waste is normally collected. shall promptly remove anything which he or the refuse or recycling collector may have spilled from the receptacle and shall take such action as may be necessary to clean the area within which that thing was so spilled. (3) Nothing in this by-law requires any subsidiary proprietor or occupier of a lot to dispose of any chemical, biological, toxic or other hazardous waste in a manner that would contravene any relevant written law applicable to the disposal of such waste. A subsidiary proprietor or an occupier of a lot shall not keep any animal upon his lot or the common property which may cause annoyance to the subsidiary proprietors or occupiers of other lots. A subsidiary proprietor or an occupier of a lot shall maintain his lot including all sanitary fittings, water, gas, electrical and air- conditioning pipes and apparatus thereof in a good condition so as not to cause annoyance to the subsidiary proprietors or occupiers of other lots. A subsidiary proprietor or an occupier of a lot shall not use his lot for any purpose (illegal or otherwise) which may be injurious to the reputation of the subdivided building. A subsidiary proprietor or an occupier of a lot shall, without delay, notify the management corporation if the subsidiary proprietor or occupier changes the existing use of the lot. (1) A subsidiary proprietor or an occupier of a lot shall not do anything or permit any of his invitees to do anything on the lot or common property that is likely to affect the operation of fire safety devices in the parcel or to reduce the level of fire safety in the lots or common property. (2) A subsidiary proprietor or an occupier of a lot shall also not do anything or permit any of his invitees to do anything on the lot or common property that is likely to create a hazard or danger to the owner or occupier of another lot or any person lawfully using the common property. (3) Without prejudice to the generality of paragraph (2), a subsidiary proprietor or an occupier of a lot shall not place, put up or display any article or object on or by any window or on any balcony of, or outside, the lot in a manner which is likely to cause any damage to property or injury to life to any person lawfully using the common property. that facilities situated on the common property may be used only during certain times or on certain conditions. (2) Every subsidiary proprietor and occupier of a lot shall comply with a determination referred to in paragraph (1). (d) promotional services or advertising. (2) If a management corporation makes a resolution referred to in paragraph (1) to provide an amenity or service to a lot or to the subsidiary proprietor or occupier of a lot, the management corporation must indicate in the resolution the amount for which, or the conditions on which, it will provide the amenity or service. where a notice has been served on the subsidiary proprietor of a lot by a public authority requiring that subsidiary proprietor to carry out any work on or in relation to that lot and the notice is not complied with; the management corporation may carry out the work. necessary to rectify his contravention of section 37(1), the management corporation may carry out that work. under subsection (2)(a), from any person who, after the work is carried out, becomes the subsidiary proprietor of the lot in respect of which the by-law referred to in subsection (2)(a) was made. Where an order (including an interim order) made by any Board has not been complied with, the management corporation may carry out any work specified in the order and recover from the person against whom the order was made the cost of so doing as a debt in a court of competent jurisdiction. any defect occurs in any pipe, wire, cable or duct referred to in section 63(a)(ii) within a lot, and the defect is not due to any breach of the duty imposed on any person by section 63(a), the management corporation shall carry out such work as is necessary to rectify the defect and may recover the cost of such work from any person who has a duty to remedy the defect as a debt in any court of competent jurisdiction. in any other case, at any reasonable time on notice being given to any occupier of that part of the parcel. Any person who obstructs or hinders a management corporation in the exercise of any power under this section shall be guilty of an offence. In accordance to the special resolution carried out at the 1st Annual General Meeting of the Management Corporation Strata Title No. 2286 held on 12th September 1999 at 5th Level of the Multi-Storeyed Car Park, Dover Parkview Condominium, 38 Dover Rise Singapore 138684. It was resolved that the council or its Agent may without notice cause any vehicle found parked within the Estate in any location other than the lot which is designated for the said vehicle to be towed away or clamped down and the owner of the vehicle shall pay to the Management Corporation a sum of S$150.00 as administration costs in respect of the vehicle removed or clamped. It was resolved that funeral wakes are not permitted within the Estate. In accordance to the special resolution passed at the 2nd Annual General Meeting of the Management Corporation Strata Title No. 2286 held on 28 October 2000 at Deck 5 of the Multi-Storeyed Car Park of Dover Parkview Condominium. It was resolved that the Management Council and/ or its agent be authorised to collect an additional administration charge of $50.00 for each day a vehicle (which has been wheel-clamped for unauthorised parking) continue to remain at our premises after the expiry of the first 24 hours. In accordance to the special resolution carried out at the 3rd Annual General Meeting of the Management Corporation Strata Title No. 2286 held on 27th October 2001 at Deck 5 of the Multi-Storeyed Car Park of Dover Parkview Condominium. It was resolved that no person shall endanger life or property by throwing or allowing to fall from his flat or any other part of the building in the condominium, any object, material, thing, article or substance. It was resolved that no person shall place, suspend or fix any point,ornament article, object or substance on any window-still, balcony,corridor or common property within the condominium in such manner which, in the opinion of the Management Corporation, is likely to cause injury or damage to any person or property in the condominium. In accordance to the special resolution carried out at the 6th Annual General Meeting of the Management Corporation Strata Title No. 2286 held on 30 October 2004 (Saturday) at 2.30pm at Deck 5 of the Multi-Storeyed Car Park (MSCP) of Dover Parkview Condominium, 38 Dover Rise #01-01 Singapore 138684. Where a subsidiary proprietor or occupier of a lot has breached any by- laws of the First Schedule of the Land Titles (Strata) Act (Cap 15) and/or breached any by-laws passed by the Management Corporation at its general meetings and where the Management Corporation has incurred any costs, fees or expenses whatsoever in enforcing the said by-laws the same shall be recovered from the subsidiary proprietor, occupier of lessee concerned on a full indemnity basis. In accordance to the special resolution carried out at the 7th Annual General Meeting of the Management Corporation Strata Title No. 2286 held on 27 November 2005 (Sunday) at 2.30pm at Deck 5 of the Multi-Storeyed Car Park (MSCP) of Dover Parkview Condominium, 38 Dover Rise #01-01 Singapore 138684. A fee or liquidated damages or administrative charges of $500.00 for unauthorized dumping. A fee or liquidated damages or administrative charges of $1,000.00 for smoking at all recreation areas and toilets. A fee or liquidated damages or administrative charges of $2,000.00 for littering in the common areas. In accordance to the special resolution carried out at the 15th Annual General Meeting of the Management Corporation Strata Title No. 2286 held on 30 November 2013 (Saturday) at 2.30pm at Deck 5 of the Multi-Storeyed Car Park (MSCP) of Dover Parkview Condominium, 38 Dover Rise #01-01 Singapore 138684. These by-laws are called "Additional By-laws (DPV Cards)" and shall replace the House Rules relating to the same subject matter. importing the singular meaning shall where the context so admits include the plural meaning and vice versa. A valid Resident Card identifies the holder as a permanent resident of DPV. The holder of a valid Resident Card shall be entitled to book and use the MCST's facilities. For the avoidance of doubt, all Invitees of the holder of a valid Resident Card shall be entitled, when accompanied by the holder of the valid Resident Card, to use the MCST's facilities. A valid Temporary Card identifies the holder as a temporary resident of DPV. The holder of a valid Temporary Card shall not be entitled to book or use the MCST's facilities unless accompanied by the holder of a valid Resident Card. A valid Access Card grants the holder access to such areas in the common property of DPV, as prescribed by Council. The holder of a valid Access Card shall not be entitled to book or use the MCST's facilities. (e) such other details and procedures which Council deems reasonably necessary to support each application. (c) lessee(s) and sub-lessee(s) who are natural persons having exclusive possession of and occupying a Subsidiary Proprietor's lot under a written lease or sub- lease (duly executed and stamped under the Stamp Duties Act (Cap 312)) and members of the im mediate family of the lessee(s) and/or sub-lessee(s) who are Occupiers of the leased or sub-leased lot. Each successful applicant shall be entitled to be issued one (1) Resident Card. Each successful applicant shall be entitled to be issued one (1) Temporary Card. (b) holders of a valid Temporary Card. An applicant shall not be issued a Security Access Card if the applicant fails or refuses to comply with the applicable House Rules. Each successful applicant shall be entitled to be issued one (1) Security Access Cards. All DPV Cards issued by the MCST are not transferable and remain the property of the MCST. A holder of a DPV Card shall surrender his card to the MCST when he is no longer qualified to hold that DPV Card. All Subsidiary Proprietors, Occupiers and Lessees who are allotted and issued with DPV Cards shall be under a continuing duty and obligation to keep the MCST notified in writing forthwith upon the occurrence of any events which may affect their rights to be issued with a DPV Card. It was resolved by way of special resolution that all legal fees including those on an indemnity basis, disbursement and incidental costs, incurred in the recovery of arrears of management and sinking fund contributions or such other sum owing to the Management Corporation by the subsidiary proprietor, occupier or lessee and/or incurred by the Management Corporation in any action taken against any subsidiary proprietor, occupier or lessee for any breach, contravention or non-compliance with any duty, by-law, resolution and regulation relating to the subdivided building shall be recovered from the subsidiary proprietor, occupier or lessee concerned on a full indemnity basis. 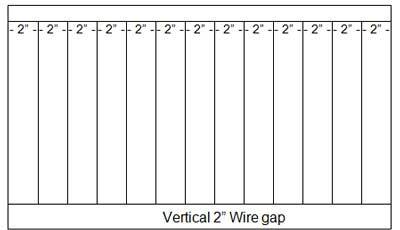 Dimension: (Length) Indicated (1) as shown in the photo above – above the raised balcony. (Projection) Indicated (2) as shown in the photo above. The grills must be installed vertically. The grills must be spaced 2 inches apart. Position to install the window grill. A subsidiary proprietor or occupier of a lot and invitees (including but not limited to contractors, taxi drivers and private car hirers) shall comply with the road safety requirements of the condominium and the Management Corporation shall be empowered to impose an administrative fee of $150 for any acts of dangerous driving in the estate such as driving against the flow of traffic. Additionally, the Management Corporation shall be further empowered to refuse entry to invitees, wheel-clamp the offending vehicle (fees for release of wheel clamping in accordance with by-law shall apply) and/or revoke the resident parking rights in the basement car park or the multi-storey car park for a specified period (a temporary car park label will be issued for parking in the non-covered designated car park location during this specified period. Resident shall register their bicycles’ with the Management. Only registered bicycle are allowed to park in the bicycle bay area. Bicycle tags will be issued for each bicycle registered. Unregistered bicycle and bicycle left/parked at unauthorized area will be removed and an administrative fee of S$100.00 will be impose for non-compliance without further notice. Bicycles parked in the condominium will be at the owner's risk. The Management shall not be held liable for any theft, damaged or other misdemeanor howsoever caused to the bicycles and/or its contents including locking device. The Management would not be responsible for any damage to the bicycle removed from the common area including the removed or cutting off the locking device of the bicycle. Resolution 10.2 passed at the 11th AGM, held on 7 November 2009 was repealed at the 20th AGM, held on 24 November 2018. The resolution 10.2 passed at the 11th AGM that no individual shall be elected to hold office as the Chairperson of the Management Corporation for more than 3 terms in total was repealed.